Views from the loch. : St Mary's 1 Weather 1. Yes after 2 days of almost complete closure St Mary's is opening up again. She has claimed back half of the loch and is now open from the Tibbie Shiels down to the village hall. The wind had it continued from the south would have seen her almost fully open, she was dissolving 2.5inch thick ice at a huge rate, the wind has however turned and is now coming from the east. This much colder wind will slow the thaw but the amount of water open is more than enough to get a good day in! Six anglers fished yesterday with two of our regular visitors (proper anglers I might add) staying overnight fishing till dusk today. Hope you had a bit of sport lads! I managed a blank even after employing this "revolutionary new technique" (really?). Speaking to three lads yesterday and it seems some of the readers are not fully in the picture, believing the action we have taken to be excessively harsh but at the same time condemning the video, so bear with me and I shall endeavour to make the situation crystal clear! (1)Remove the erroneous reference to St Mary's Loch in the title. (2)Remove the video completely from You Tube. He felt unable to comply with any of the reasonable requests above because he could see "nothing wrong"in tarnishing the good name of our club and embarrassing decent Pike anglers everywhere! We have given him every opportunity to leave this situation without him looking a fool, he has spurned all our attempts! Had he agreed to the above it was possible that, after a period of retraining, he could still enjoy the privilege of fishing our lochs. This left us with no option but to fully expose the video and the appalling handling contained therein. To not have done so would mean to a casual viewer, the club tolerated or even worse approved of such dreadful handling of Pike. This situation would have been completely unacceptable to us and forced us into remedial action. Any right thinking angling club would have taken the same steps! 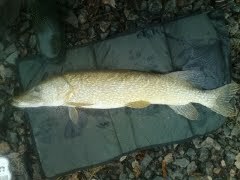 We all make mistakes and no one is perfect, but the publication of this video with all the errors therein has the potential to influence anglers new to Pike fishing and it is this that makes the video completely intolerable! The video has now received well over 1000 views thanks largely to our actions, and the 100% negative comment vindicates our stance! As a club we are heartened to note that no one has come forward in Hank's defence, probably because there is no defence for the actions seen in the video. This does indeed bode well for the future of Pike angling that reprehensible actions as displayed in the video are condemned by one and all! As has already been stated we are moving forward on a research based approach where actions carried out are not that suggested by various expert windbags, but more properly that which has been shown by research to be the least detrimental to Pike. Only by utilising such research can we maximise the wellbeing and lifespan of our Pike! It is this forward thinking attitude we wish to cultivate to the betterment of angling. Too many novice anglers get kitted out with the latest all singing and dancing shiny new alarms, Buckfast and camo clothing then embark on to a fishery without the slightest clue as to the vulnerabilities of Pike and the steps required to treat them with efficiency, compassion and respect! Angling needs to eradicate these knaves lest we lose all! The Pike Anglers Club of Great Britain is an invaluable resource to us in this respect particularly with regard to their code of conduct for Pike anglers! It was felt to be imperative that to safeguard our Pike from his bullish techniques, his permission to fish be immediately rescinded. He has been removed from the waiting list to become a season permit holder of the club. These measures are at present temporary, when our committee meets towards the end of January, the video will be reviewed and a final decision will be reached. It should be noted however in view of the poor handling of the Pike, the complete lack of insight into his own actions and the 100% negative comment on here, You Tube, and Pike and Predators forum, the likely outcome is that he will be barred from fishing our lochs for a period of time as yet undetermined. He is welcome to contact us by whatever means to state his case, to date no such contact has been made. As a club we will continue our purge on Neds, Noddys and clueless "anglers", we have the full backing of our riparian owners, local establishments and proper anglers everywhere. Responsible Pike angling clubs everywhere advocate this stance. Countrywide Pike fishing finds itself in the spotlight for all the wrong reasons; we will be unceasing in our efforts to ensure it will not be so at St Mary's Loch! To all the readers who have condemned the video and sent messages of support thank you we appreciate your efforts! We are now content having publicly distanced ourselves from the aberrant video. Some more cracking keywords used to come on to our website – "What is the value of 3lbs of silverware", "How to rescue a failing angling club", "how to dispose of CS gas", Coffee mug pike anglers club", "How to detect Muppets". "Getting St Mary's angling lease" so there you go a wide variety of topics leading to our site. 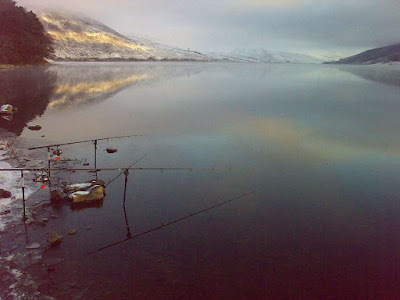 To the internet user who is seeking the lease for the fishing at our lochs – we have no intention of giving up the lease so you will have to look elsewhere. And to the users seeking to rescue a failing angling club and how to detect Muppets get in touch! If the festive activities have left you the worse for wear, chill out and have a listen to the following masterpiece "Miserere" by Gregorio Allegri, generally regarded as one of the finest pieces of choral music ever composed. Perhaps Mozart's saving grace is that he was able to transcribe it from hearing it twice, making the enjoyment of it available to the masses! Up to this point it had been kept locked in the Vatican vaults with only two or three renditions per year to a selected few!